We are the Black Student Union of California State University, Fullerton, with a primary goal to recognize the need for the united front among Black/African American student organizations. Formed on a voluntary basis, the purpose of this council is to unite us not only in words but action as well. The Black Student Union fosters student growth and development through diversity, academics, and community services and outreach. We provide an opportunity for students of all races to celebrate black culture, lifestyle, and history. We hope to accomplish goals no single organization could on its own-goals that will benefit us all. In the spirit of cooperation, we will enrich the lives of students, faculty, staff and the community at large. Through communication, we will all learn more about the world around us and ourselves. United, we will be a power unto ourselves. ​The ABC Conference is an annual conference hosted at one of our partner schools during Black History Month, the conference works to unite black students in California, provide cultural and political education, increase black academic recruitment, enhance social and academic retention, and encourage community collaboration. 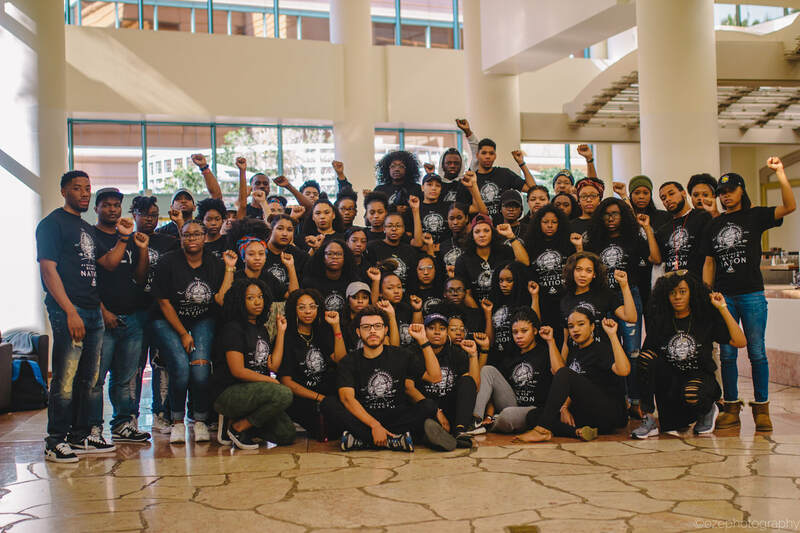 This past semester, 50 students from Cal State Fullerton were selected from the Black Student Union to attend the Afrikan-Black Coalition Conference, held at San Francisco State University. Hands Up Visual from Eze Egeonuigwe on Vimeo.